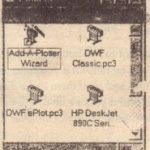 In this section, you’ll explore all of the settings that are available in the Plot Settings tab of the Plot dialog box. 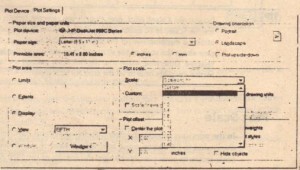 These settings give you control over the size and orientation of your image on the paper. They also let you control what part of your drawing gets printed. All of these settings work together to give you control over how your drawing will fit on your printed output. The options in this group allow you to select the paper size and the measurement system you are using. 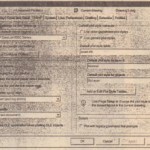 You can select a paper size from the Paper Size drop-down list. The Printable Area radio buttons offer Inches and mm. When you select one of these options, the Printable Area listing changes to show you the area in the units you selected. Options in the Plot Scale button group also change to reflect the measurement system choice. When you used the Full Preview option in the first exercise of this chapter, you Saw your drawing as it would be placed on the paper. A land scape orientation places the image on the paper so that the width of the paper is greater than the height of the paper. In the figure shown in our example, it was placed in what is called a landscape orientation. You can rotate the image on the paper 90 degrees into what is called a Portrait orientation by selecting the Portrait Radio button (see Figure 7.1) in the Drawing Orientation button group. A third option, Plot Upside-Down, lets you change the orientation further by turning the landscape or portrait orientation upside down. These three settings let you orient the image in anyone of four orientations on the sheet. Note that in AutoCAD, the preview displays the paper in the orientation that it leaves the printer. 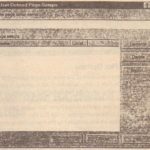 So for most small-format printers, if you’re printing in the portrait orientation, the image appears in the same orientation as you see’ it when you are editing the drawing. If you’re using the landscape orientation, the preview image is turned side ways. 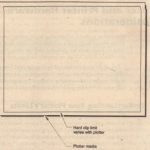 For large-format plotters, the preview may be oriented in the opposite direction. The Radio buttons on the lower-left side of the Plot dialog box let you specify which part of your drawing you wish to plot. You might notice some similarities between these settings and the Zoom command options. The Limits printing option uses the limits of the drawing to determine what to print (see Figure 7.2). If you let AutoCAD fit the drawing onto the sheet (by selecting Scaled to Fit from the Scale drop-down list), the plot displays exactly the same thing that you would see on the screen had you selected View > Zoom > All. The Extents option draws the entire drawing, eliminating any space that may border the drawing (see Figure 7.3). If you let AutoCAD fit the drawing onto the sheet (that is, you select Scaled to Fit from the Scale drop-down list), the plot displays exactly the same thing that you would see on the screen if you had selected View >Zoom> Extents. Display is the default option; it tells AutoCAD to plot what is currently displayed on the screen (see panel 1 of Figure 7.4). If you let AutoCAD fit the drawing onto the sheet (that is, you select the Scaled to Fit option from the Scale drop-down list), the plot is exactly the same as what you see on your screen (panel 2 of Figure7.4). The View printing option uses a previously saved view to determine what to print (see Figure 7.5). To use this option, you must first create a view. Then click the View Radio button. You can then select a view from the drop-down list, just to the right of the View Radio button. To use this option, click the Window button, then indicate a window in the drawing editor. The dialog box temporarily closes to allow you to select points. When you’r done click OK. 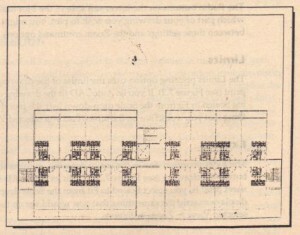 In the previous section, the descriptions of several Plot Area options indicate that the Scaled to-Fit option must be selected. Bear in mind that when you apply a scale factor to your plot, it changes the results of the Plot Area settings, and some problems can arise. This is usually where most new users have difficulty. 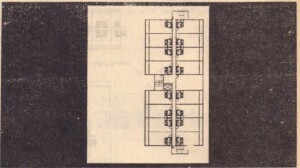 For example, the apartment plan drawing fits nicely on the paper when you Use Scaled to Fit. But if you tried to plot the drawing at a scale of 1″=1′, you would probably get a blank piece of paper because, at that scale, hardly any of the drawing would fit on your paper. AutoCAD would tell you that it was plotting and then tell you that the plot was finished. You wouldn’t have a clue as to why your sheet was blank. If an image is too large to fit on a sheet of paper because of improper scaling, the plot image will be placed, on the paper differently,. 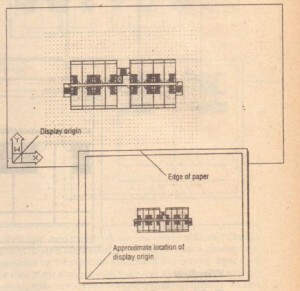 depending on whether the plotter uses the center-of the image er the lower-left comer for its origin (see Figure 7.1). Keep this in mind as you specify Scale factors in this area of the dialog box. You can select a drawing scale from a set of predefined scales. These are offered through the Scale drop-down list. These options cover the most common scales you’ll need to use. 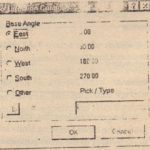 You’ve already seen how one option from this drop-down list, Scaled to Fit, allows you to avoid giving a scale altogether and forces the drawing to fit on the sheet. This works fine if you are doing illustrations that are not to scale. If you select another option like 1/8″ = 1′-0″, you’ll see the Custom input boxes change to reflect this scale. 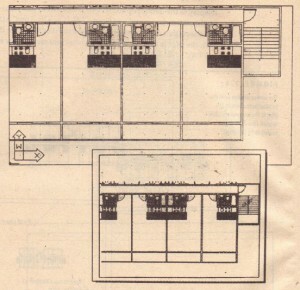 The Inches input box changes to 1 and the Drawing Units input / box changes to 96, the scale factor for a 1/8″ scale drawing. If you can’t find the scale you want from the Scale drop-down list, you can use the two Custom input boxes that are provided in the Plot Scale button group: Inches (or mm if you select mm in the Paper Size and’ Paper Units button group) and Drawing Units. 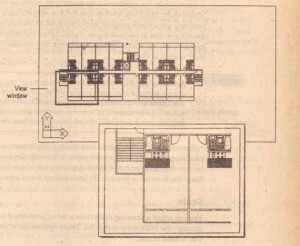 Through these input boxes, you can indicate how the drawing units within your drawing relate to the final plotted distance in inches or millimeters. For example, if your drawing is of a scale factor of 96, follow these steps. Double-click the Inches input box and enter 1/8 and press the. Tab key. Double-click the Drawing Units input box, enter 96, and press the Tab key. Metric users who want to plot to a scale of 1:10 should enter 1 in the mm input box and 10 in the Drawing Unit lnput box. You can specify a different scale from the one you chose while setting up your drawing, and AutoCAD will plot your drawing to that scale. You are not restricted in any way as to scale, but entering the correct scale is important: If it is too large, AutoCAD will think your drawing is too large to fit on the sheet, although it will attempt to plot your drawing anyway. AutoCAD 2000 offers the option to assign line weights to objects either by their layer assignments or by directly assigning a line weight to individual objects. The line weight option, however, doesn’t have any meaning until you specify a scale for your drawing. Once you do specify a scale, the Scale Line weights option is available. Check this box if you want the line weight assigned to layers and objects to appear correctly in your plots. You’ll get a closer look at line weights and plotting later in this chapter. 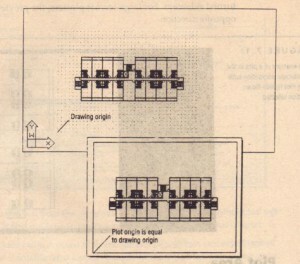 Frequently, your first plot of a drawing shows the drawing positioned incorrectly on the paper. You can fine-tune the location of the drawing on the paper using the Plot Offset settings. To adjust the position of your drawing on the paper, you enter the location of the view origin in relation to the plotter origin in x- and y-coordinates (see Figure 7.7). 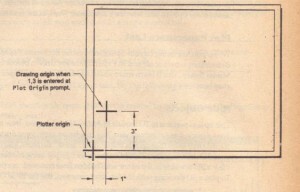 For example, suppose you plot a drawing, then realize that it needs to be moved 1″ to the right and 3″ up on the sheet. You can replot the drawing by making the following changes. Double-click the X input box; type 1, and press the Tab key. Double-click the Y input box, type 3, and press the Tab key. Now proceed with the rest of the plot configuration. 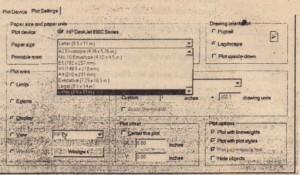 With the above settings, when the plot is done, the image is shifted on the paper exactly 1″ to the right and 3″ up. As mentioned earlier, AutoCAD 2000 lets you assign line weights to objects either through their layer assignment or by directly assigning a line weight to the object itself. If you use this feature in your drawing, this option lets you turn line weights on or off in your output. Plot styles are new in AutoCAD 2000 and they give you a high degree of control over your drawing output. 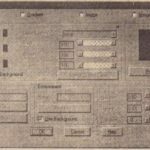 You can control whether your output is in color or black and white, and you can control whether filled areas are drawn in a solid color or a pattern. You can even control the way lines are joined at corners. You’ll learn more about these options and how they affect your work in the next section. 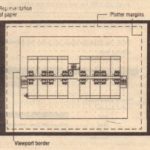 When you are using Layout Space, otherwise known as Paper Space, this option determines whether objects in Paper Space are drawn before or after objects in Model Space. You’ll learn more about Model Space and Paper Space later in this chapter. This option pertains to 3D models in AutoCAD. When you draw in 3D, you will see your drawing as a wire frame view. In a wireframe view, your drawing looks like it’s transparent even though it is made up of “solid” surfaces. You can view and plot your 3D drawings so that solid surfaces are opaque using hidden line removal. To view a 3D drawing in the editor with hidden lines removed, use the Hide command. To plot a 3D drawing with hidden lines removed, use the Hide Objects option .